Boston Red Sox legend David Ortiz spent much of his career talking and hitting baseballs, unfortunately sometimes more the former than the latter. Since his retirement Ortiz has been relatively quiet although this weekend the Red Sox former DH broke his silence in an interview on the radio with Boston’s WEEI. In the interview Ortiz claimed that the New York Yankees may have played a role in his name getting leaked after failing a PED/steroid test to the New York Times back in 2009. Let the salt flow through your body’s ladies and gentleman. "What was the reason for them to come out with something like that?" he said. "The only thing that I can think of, to be honest with you, a lot of big guys from the Yankees were being caught. And no one from Boston. This was just something that leaked out of New York, and they had zero explanation about it." "Everybody who got caught...all of them were told what they bought, what they used, everything," he said. 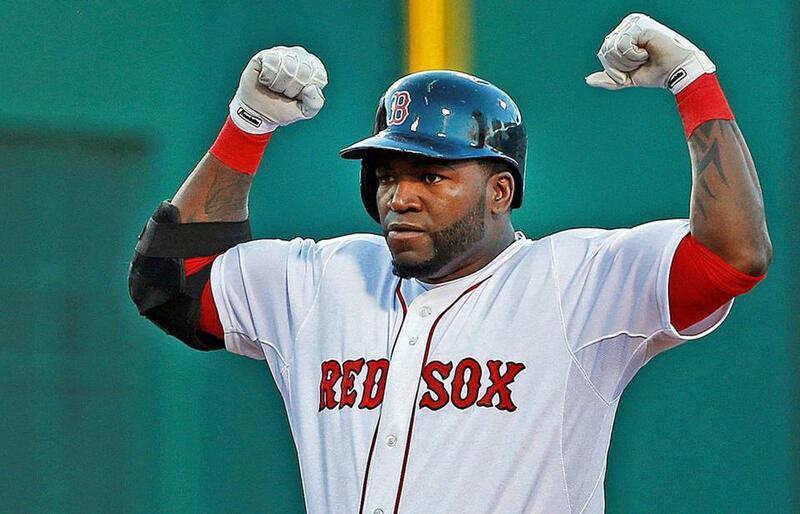 "But David Ortiz. Nobody came to me after; nobody came to me before. Nobody came to me ever, to tell me that I tested positive for any kind of steroids." I’m just going to leave this here and let you guys hash it out in the comments section and on Twitter. Give us a follow by following @GreedyStripes. This just seems like a thing of the past and unnecessary to spend too much time on here, although I did feel the need to bring it to everyone’s attention just because. Enjoy the rest of your day. Poor , poor Ortiz.Still denying.We call that the ARod desease.You know I never , wait I did only when I played for no wait I might have no I didn't yes I did. If he didn't then sue like Clemons or let it go and play some golf somewhere. If ARod had it figured out then I am sure some others did. Just go and play some golf with ARod somewhere.